Image Courtesy of Big Girls, Small Kitchen. 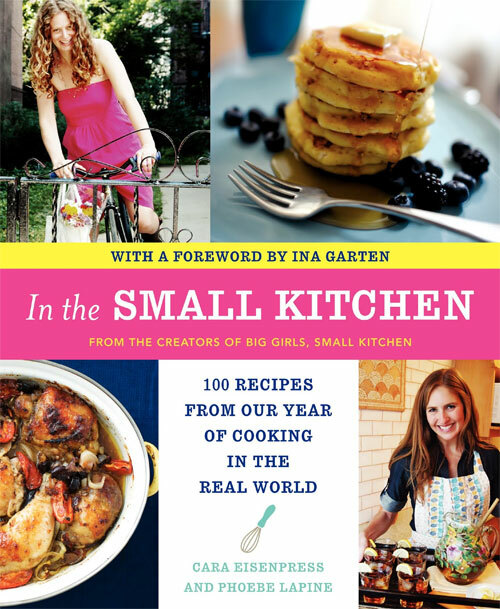 Cara Eisenpress and Phoebe Lapine started their popular blog Big Girls, Small Kitchen as a way to continue the cooking rivalry they had developed in middle school. Each in their 20s and stuck in small kitchens, the blog and cookbook highlight their attempts to create and experiment in their apartment-sized kitchens. Their first cookbook offers more than 100 recipes and advice on entertaining within the constraints of a 20-something lifestyle.